From October 23-25, Québec City will be hosting a major conference about connectivity and road networks. 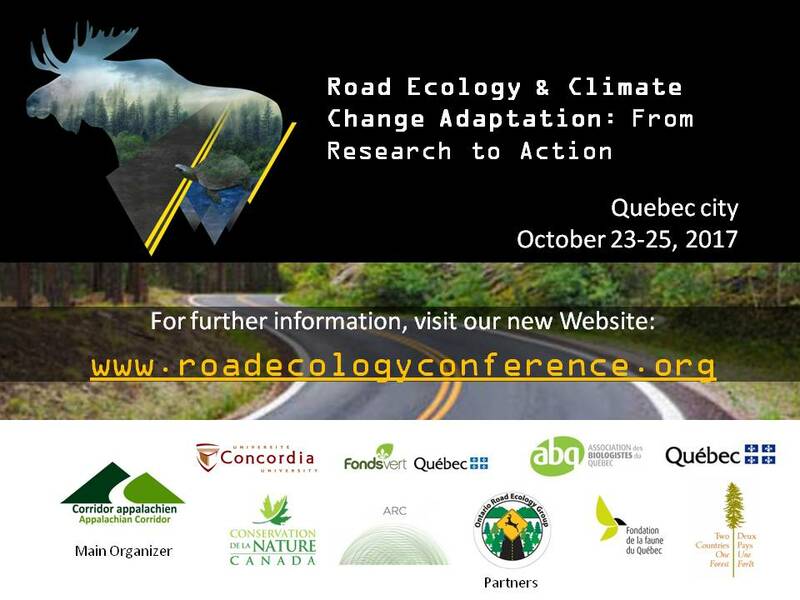 The “Conference on Road Ecology and Climate Change Adaptation: from Research to Concrete Actions”, will share the latest findings on the topic, open dialogue between relevant government departments and generate efficient and win-win collaboration for all. Students are also welcome. Presentations, workshops, information stands and a fieldwork trip are planned. Simultaneous interpretation will be provided in English and French. 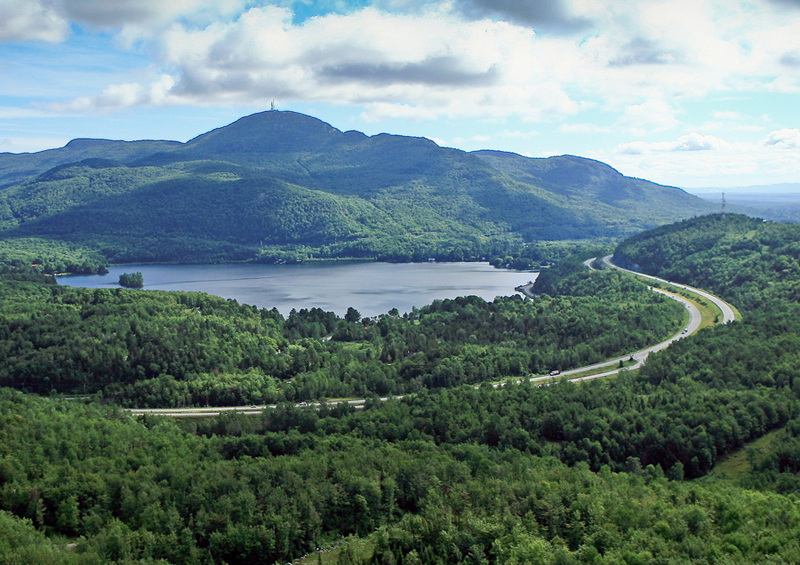 Experts from various sectors − land-use planning and road network, terrestrial habitats connectivity, wildlife management, hydrology and climate change adaptation – will get together to discuss various issues under the road ecology theme and to consolidate their knowledge. This event aims at proposing solutions to reduce the impact of roads on natural areas (wildlife, terrestrial and aquatic), contribute to maintaining ecological connectivity and supporting climate change adaptation. In the fight against climate change, it is indeed essential to tackle GIS emissions, but also take actions that support ecosystems adaptation. 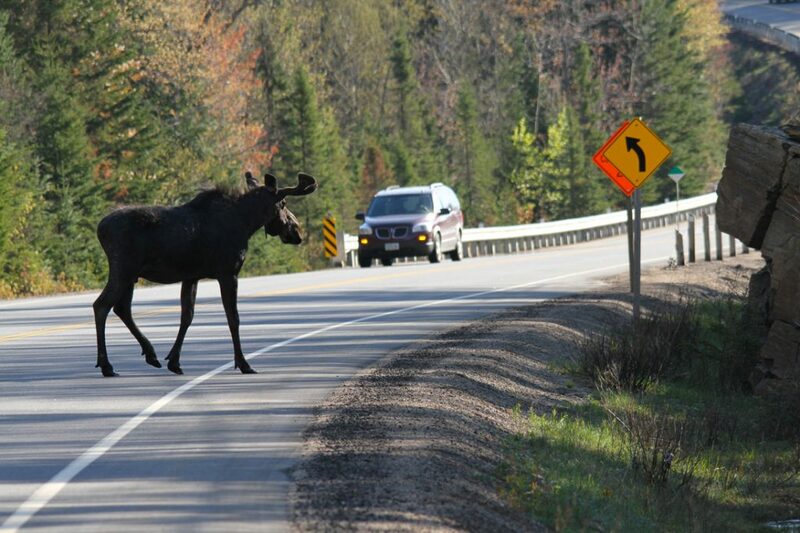 Road ecology is an emerging science at the crossroads of civil engineering, hydrological engineering and natural areas conservation (ecosystems and wildlife biodiversity), that stimulates the creation of innovative solutions. Organizers and partners work actively to plan this event and are inviting organizations to run information booths. Moreover, a call for applications for poster presentations was launched. The conference is made possible thanks to many partners: Appalachian Corridor (main organizer), Concordia University, Quebec’s Ministry of Transports, Mobilité durable et Électrification des transports (MTMDET), Quebec’s Ministry of Forêts, Faune et Parcs (MFFP), Quebec’s Ministry of Développement durable, Environnement et Lutte contre les changements climatiques (MDDELCC), Association des biologistes du Québec (ABQ), Ontario Road Ecology Group (OREG), Two Countries, One Forest (2C1Forest), Fondation de la faune du Québec, ARC Solutions and Nature Québec.